Here is an updated chart of what I had posted last Sunday. 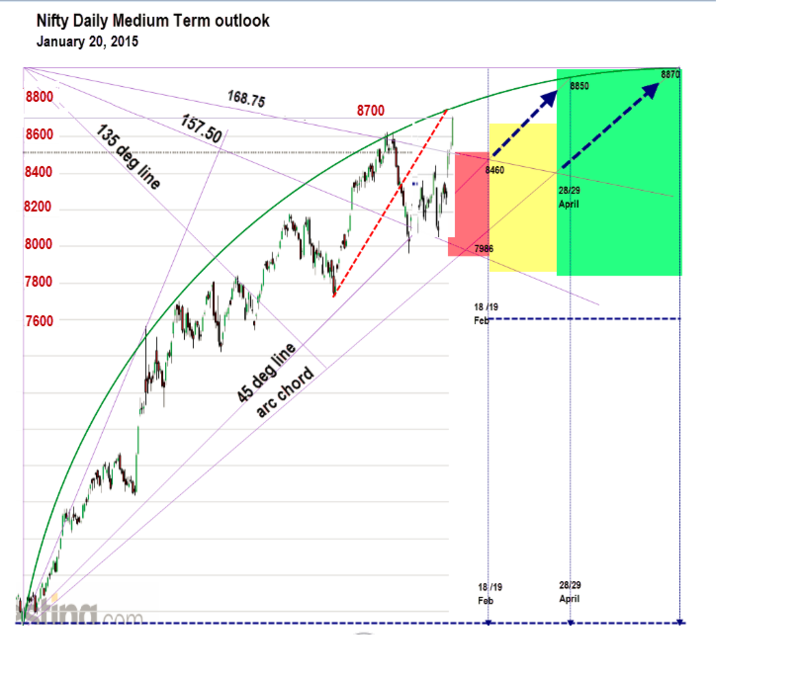 The key thing is the Gann arc. I think it will hold. See the arc, 8700 line, 8700 bar chart and the red angle line. What if Nifty crosses 8731 and appreciates much further. Then my counts were wrong and Nifty is already in C of Xabc. But, I need more confirmation for this. Else, I still favour a c of b down, however small. So be cautious. Do not get carried away. Let fortune favour the brave. We prefer safety first! Thanks for the timely update and superb analysis from various angle.. wishing success for your hard work.. Please let us know when you are convinced that larger c of X abc has started and what will be the minimum target and how long time wise can it last. Thanks and Regards. Friends, see my update today.